After an incredible weekend, Monday started off with a bang. We arrived at Mandalay Bay to meet contacts from a strategic alliance to discuss SQL Server virtualization on their platform over breakfast. After breakfast we attended part of the VMworld General Session to hear Pat Gelsinger and other VMware executives discuss the current state of the company, and strategic direction. I think many VMworld attendees this year were anxious coming to the conference wanting to understand what VMware will do to stay relevant as public cloud continues to impact the need for on-prem infrastructure (including vSphere). As a firm with services related to the convergence of data and infrastructure, we are one of the many companies wanting to understand VMware’s role in a growing public cloud world. We are still digesting what we heard from Pat Gelsinger and other VMware contacts throughout the week. I’m not going to address much more in this post since we will follow with separate blogs specific to information shared by VMware related to product roadmaps and general industry trends, so stay tuned! Many other VMworld attendees have already posted feedback from their time at the conference, and we also want to share our perceptions. 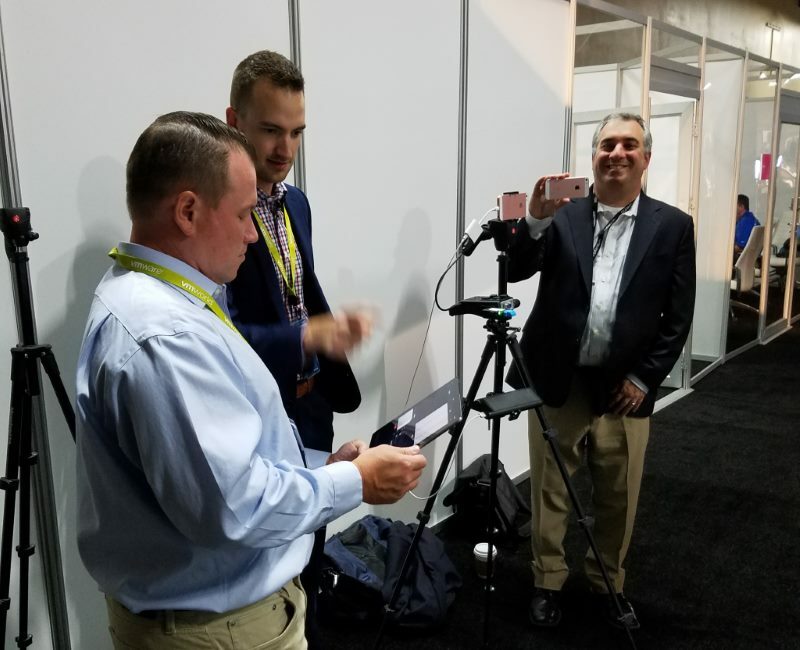 After the general session we met James Green and David Davis from ActualTech Media for an interview with David Klee on SQL Server licensing and how to avoid CPU scheduling issues in virtual environments. Although I was not part of the interview, it was great to be included in the filming. I had fun holding the high tech iPhone recording device. It is incredible what ActualTech Media can do for interviews on the fly. Thank you to James, David, and others at ActualTech Media for your continued partnership. If you haven’t already, please download the Modern Strategies for SQL Server Gorilla Guide that David Klee co-authored with James Green. After the interview we met Michael Corey from Corey & Associates to do some final preparation for the Monster VMs Database Virtualization Doing it Right sessions (more about this in the Tuesday and Thursday VMworld blogs). Michael is one of the co-authors of Virtualizing SQL Server with VMware Doing it Right, and other SQL Server and Oracle books. He is well respected as a Microsoft SQL Server and Oracle virtualization expert, and it was great to spend time with him at the conference last week. 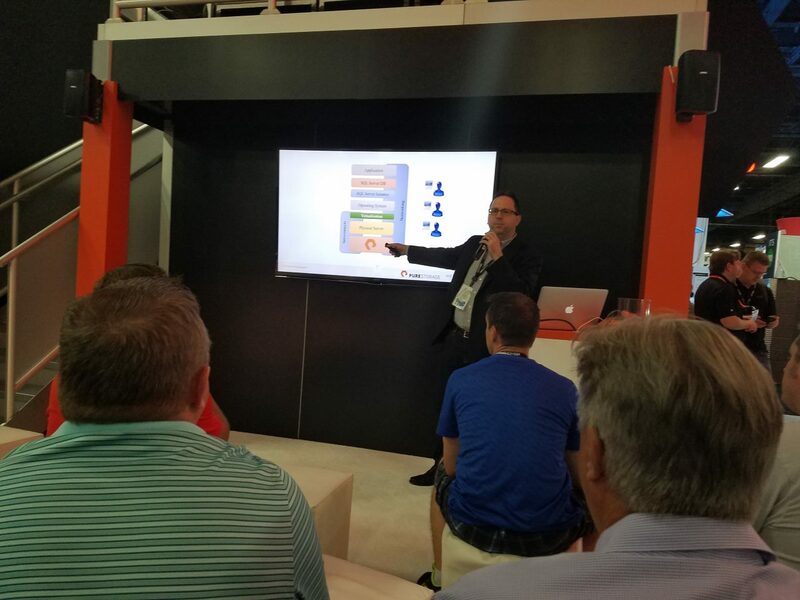 The afternoon included David presenting at Pure Storage’s mini-theater in the VMworld Solutions Exchange. Many thanks to Data Center Deb and others from the Pure team for inviting David to present, and driving attendance to David’s 2:00pm presentation. 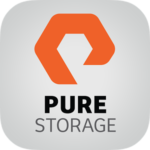 Pure Storage continues to be a leading innovator for flash storage solutions, and Heraflux is proud to be a strong supporter of accelerating SQL Server performance on Pure Storage all-flash arrays. In addition, we had other meetings with Pure contacts in the afternoon. Looking forward to co-presenting with Pure at the PASS Summit, and other events this fall. 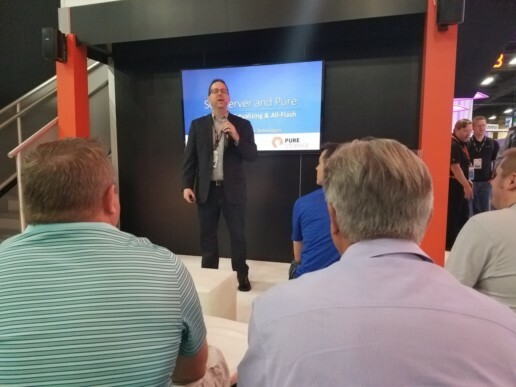 Late afternoon David was part of a panel discussion for the VMworld session, Running Business Critical Applications and the Software Defined Data Center on Hyperconverged Infrastructure at the Speed of Flash (STO9607-SPO). This session panel included Peter Chang (Senior Director, Western Digital Corp), Jase McCarty (Staff Technical Marketing Architect, VMware), Jason Pederson (Virtualization Solutions Marketing at SanDisk), and Nanjunda Somayaji (Senior Technical Alliance Manager, Brocade Inc.) It was a great session with excellent information discussed by the panelists. The remainder of the day at VMworld included a stop at Veeam Software’s VMworld Cocktail reception, and dinner with a notable SQL Server community leader. Conference Day 1 was exhilarating, exciting, and exhausting…what else would you expect from a major technology conference in Las Vegas!